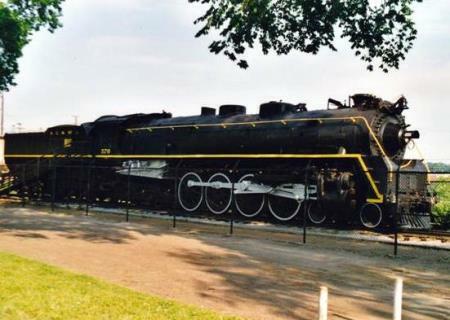 There only surviving NC&StL Dixie, is number 576, at Centennial Park in Nashville, TN. 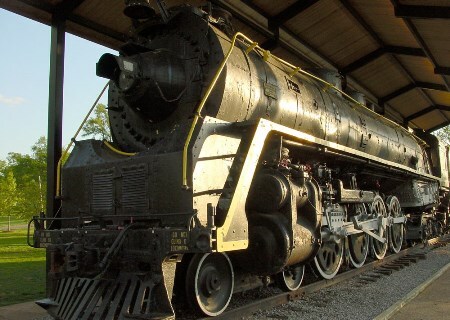 The engine was build in 1942 and after only 11 years and one month of service donated to the City of Nashville as a reminder of the importance of steam. Ever since there were rumours about restoring the engine in running order. During the 1970s, when planning for the Bicentennial Train was taking place, NC&StL 576 was considered as power for the eastern tour of the American Freedom Train but it was decided that it was not heavy enough and the Reading 2101 was selected instead. 576 was also considered for the Southern Railway Steam Program sometime around the mid-70s. However there was quite a bit of local opposition from those who did not want the engine to leave Nashville. 576 was also considered for a new steam excursion program by the Seaboard System/Clinchfield Railroad in the 1970s. They had operated excursions for some time powered by their tiny, ancient 4-6-0 #1 and wanted to upgrade to a stronger steam locomotive. Nashville again decided that they did not want their engine to leave the city, so the Clinchfield folks went up to Kentucky and leased the C&O 2716. It was pulled down to Marion, NC to a siding for restoration. They slowly worked on it for about 6 months, when their whole excursion program fell through, and the engine was sent back to Kentucky. Eventually, the Southern did lease it, overhaul it, and operated it for about 2/3s of a season. Meanwhile, the folks in Nashville changed their mind and offered the 576 to the Clinchfield, but it was too late. In 1998 the smokebox was painted yellow, the headlight shroud was painted red, and the counterweights were painted silver. In 2003 a shelter was build to protect the engine from the elements. The engine is being maintained by volunteers. Remarks Designed by C.M. Darden, the Chief Mechanical Officer of the NC, The J3 engines were a technological marvel marvel of their day. The one piece cast frame and sealed roller bearings on the engine were revolutionary in reducing maintenance costs for the road. And the lateral motion devices on the lead driver set allowed a much larger, and more powerful, engine to be used on the tight curves.